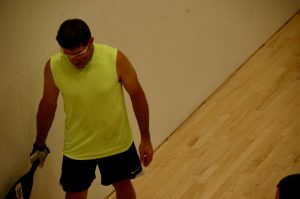 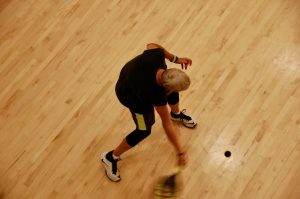 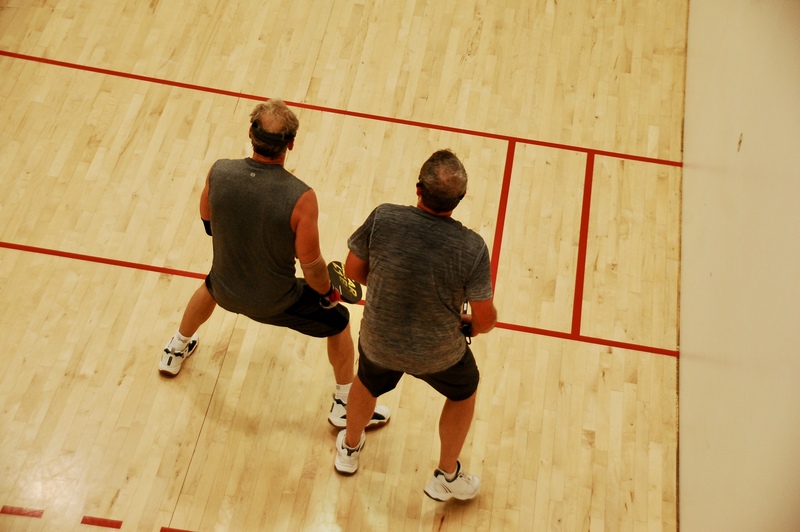 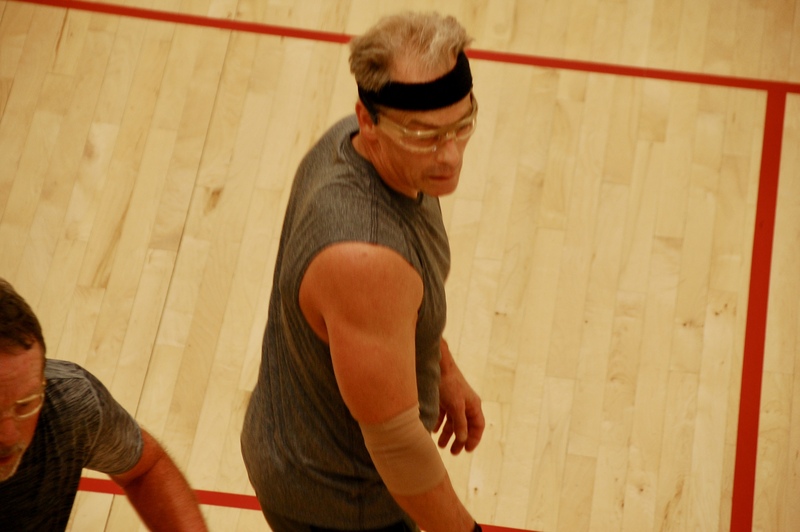 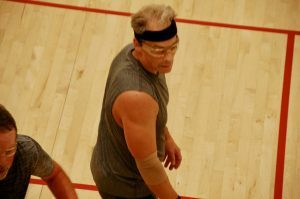 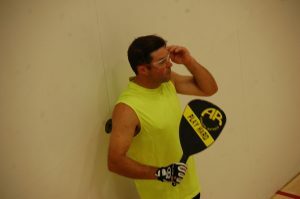 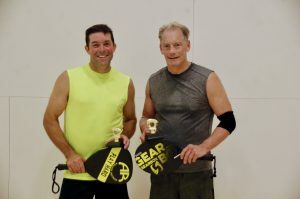 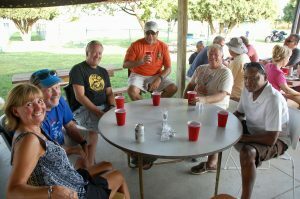 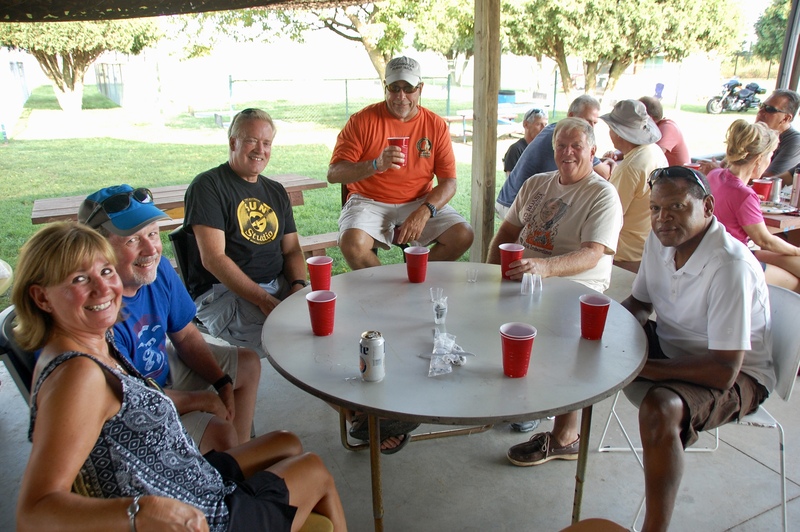 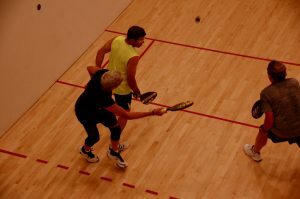 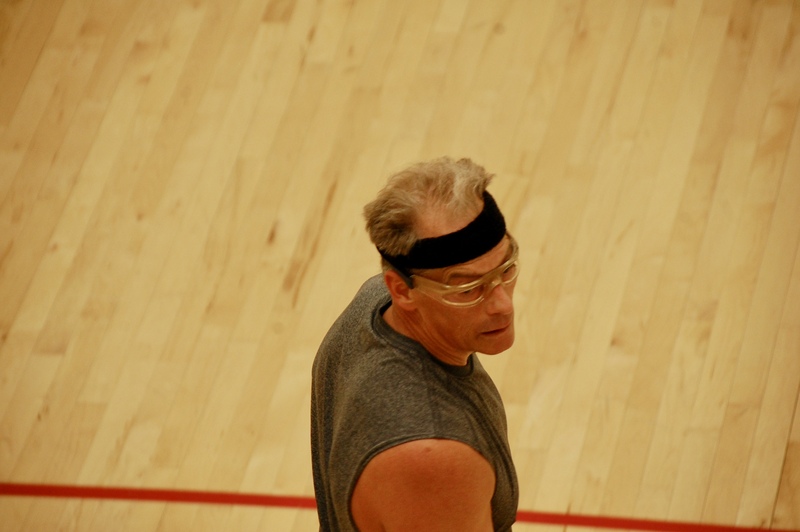 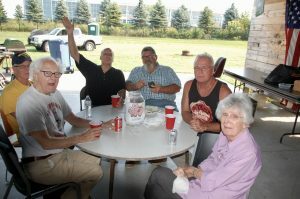 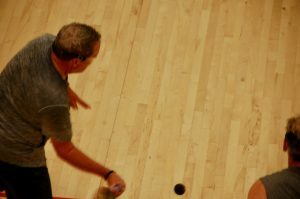 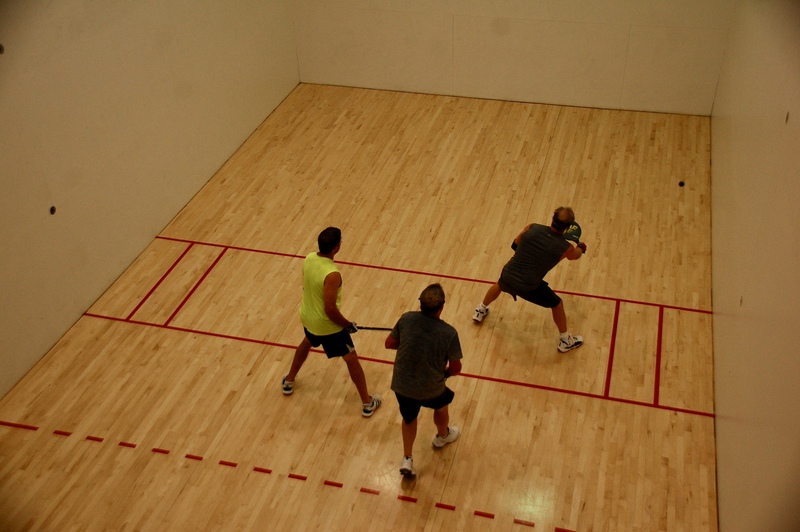 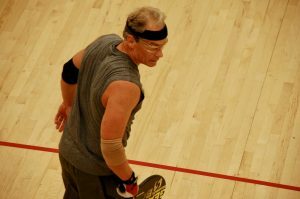 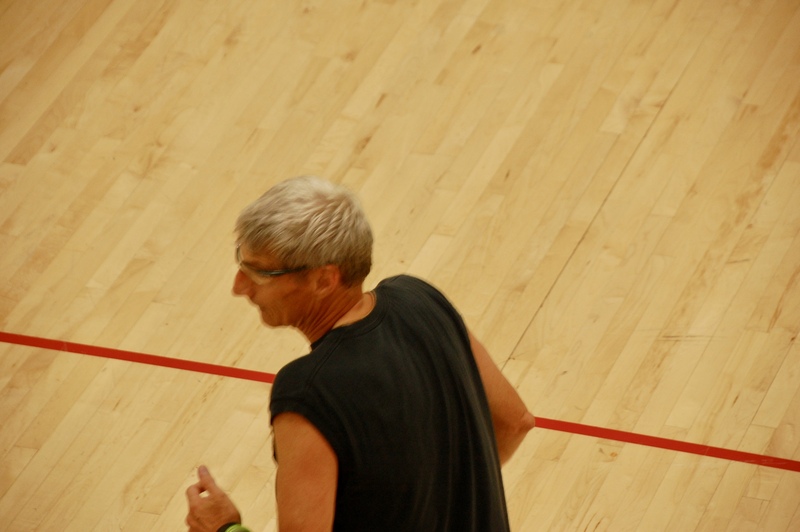 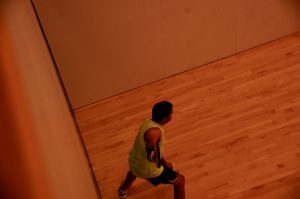 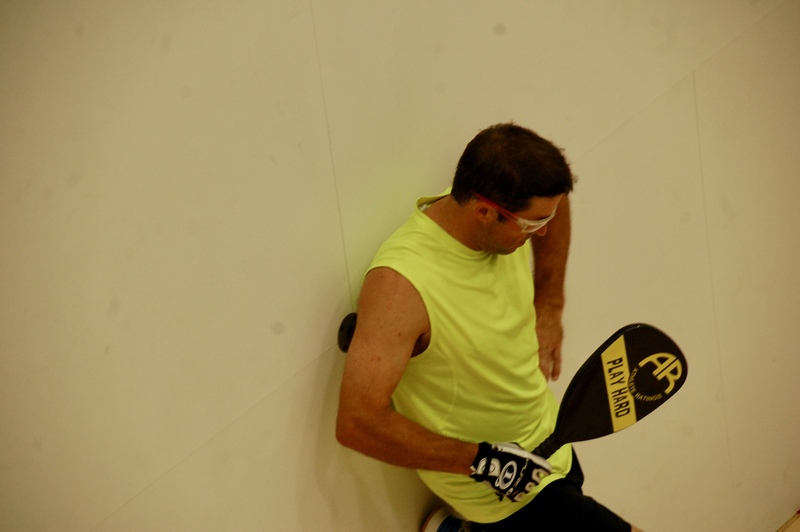 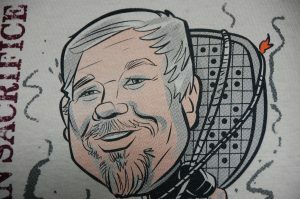 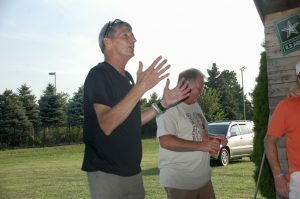 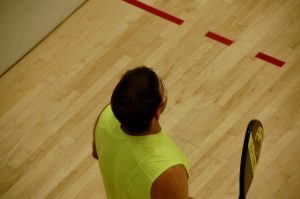 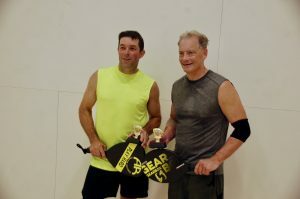 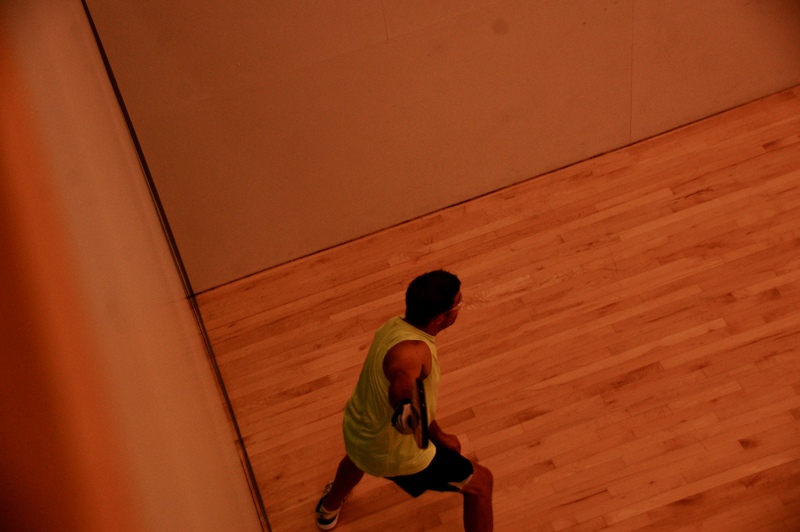 Don Kirkconnell (Kalamazoo, MI) and Ted Wray (Jackson, MI) defeated a team that has won many paddleball championships, Hall of Famer Andy Mitchell and Ed Maher (Kalamazoo, MI) in a single game final, 21-16 Both teams were undefeated in round robins play in their respective five-team groups. 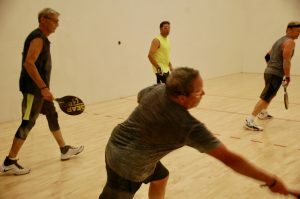 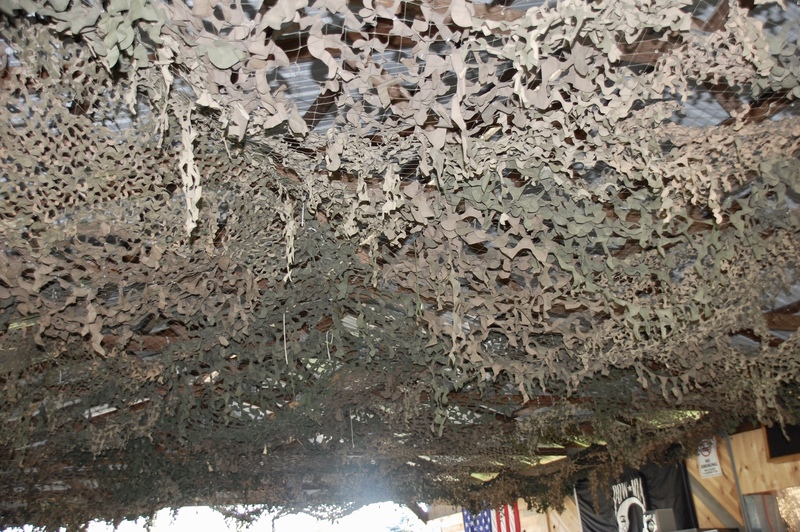 There were 20 players and several competitive matches. 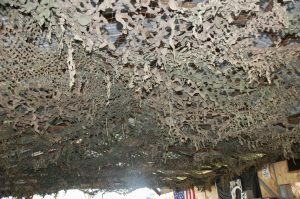 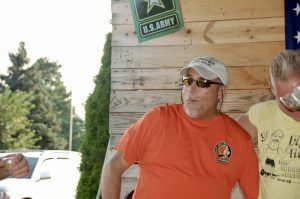 Rick Imbordino of the Kalamazoo area was the honoree (Human Sacrifice). 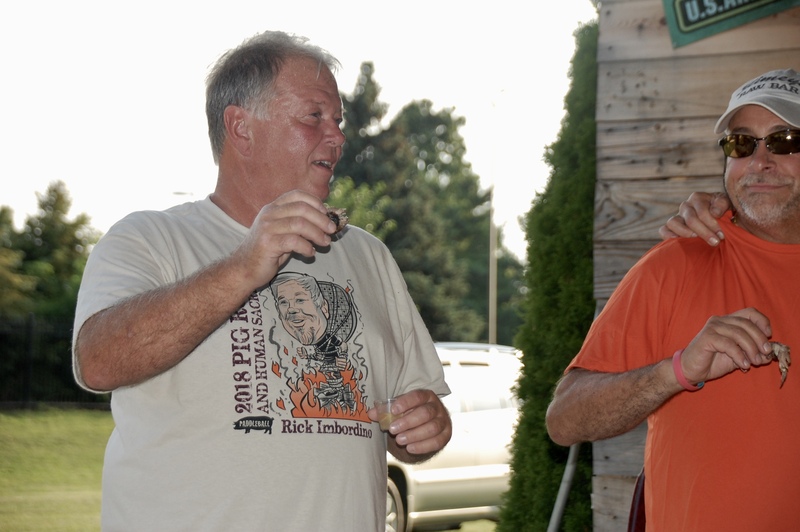 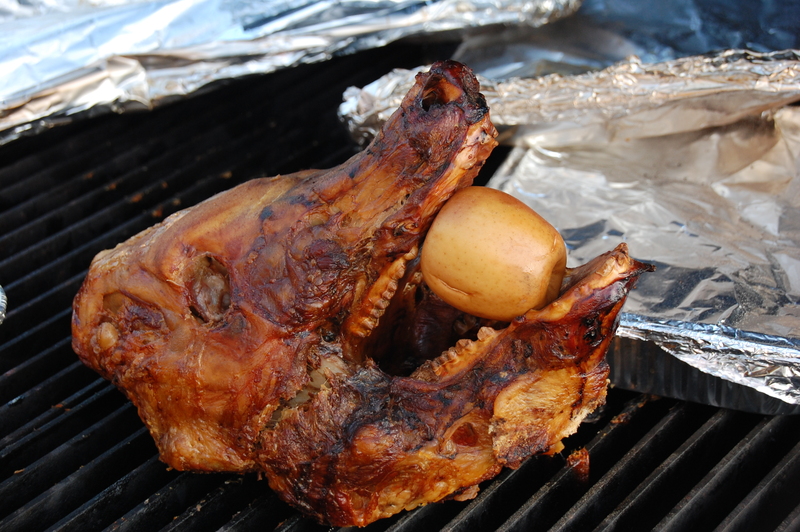 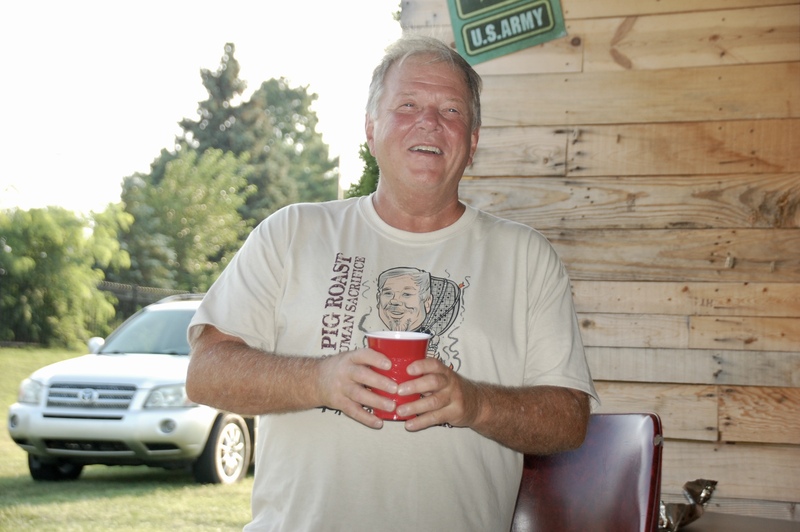 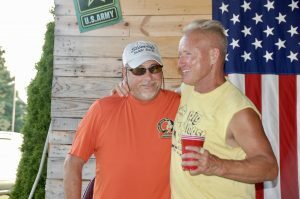 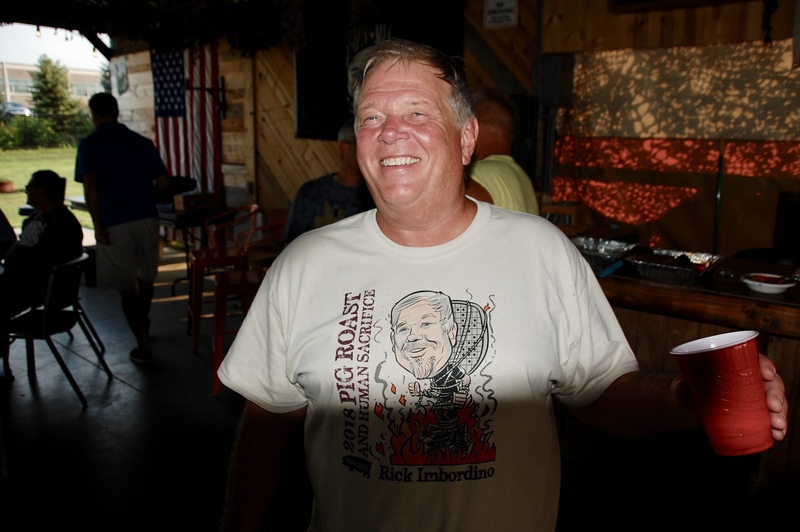 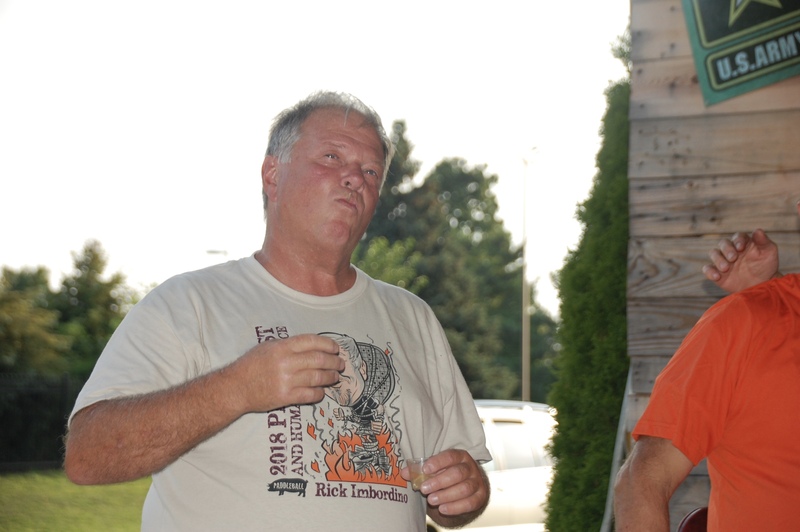 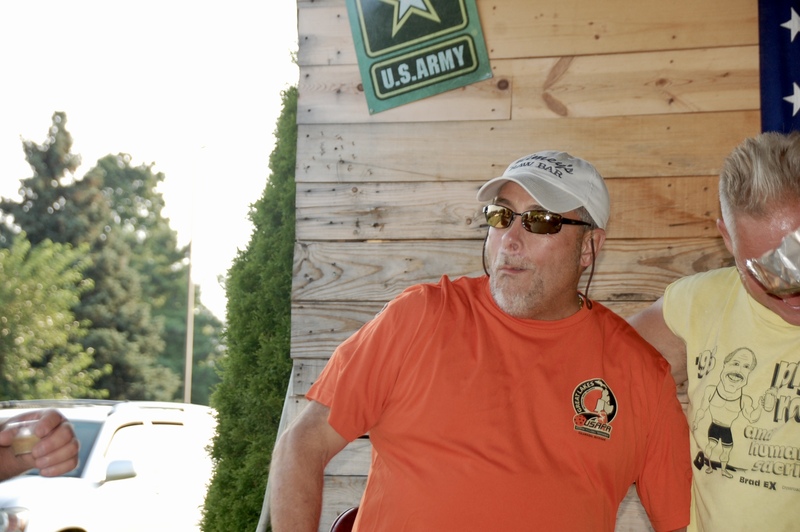 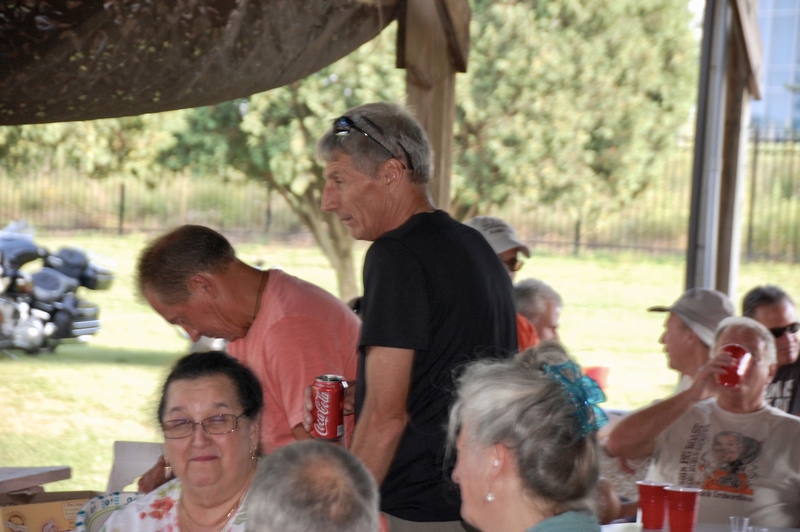 He and friend Bob Lapekas successfully digested the eyes of the pig, an annual tradition for the honoree. 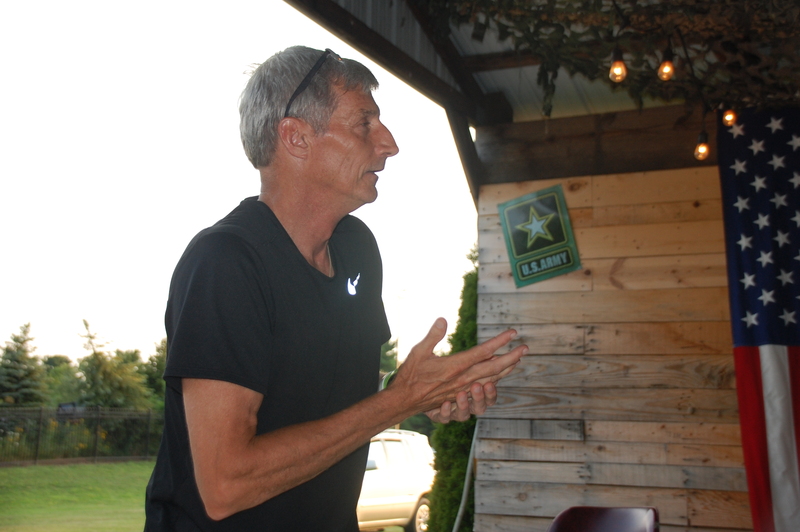 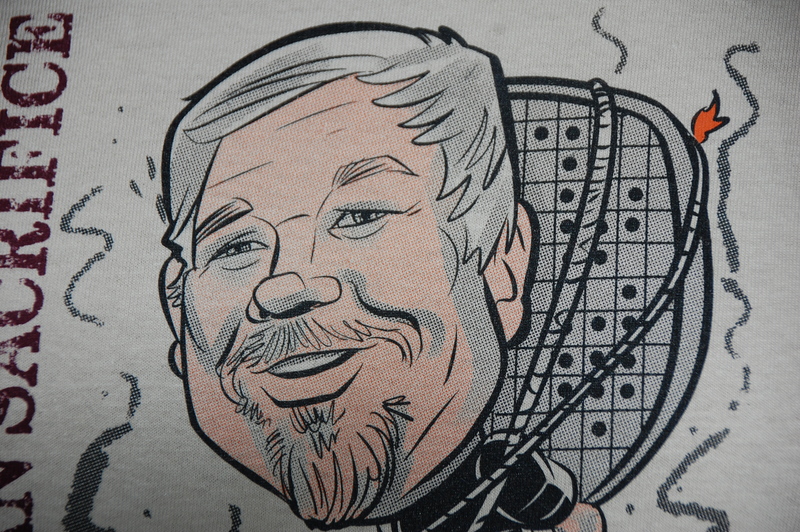 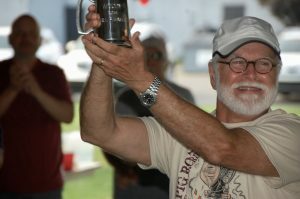 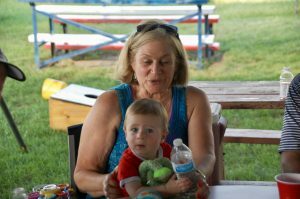 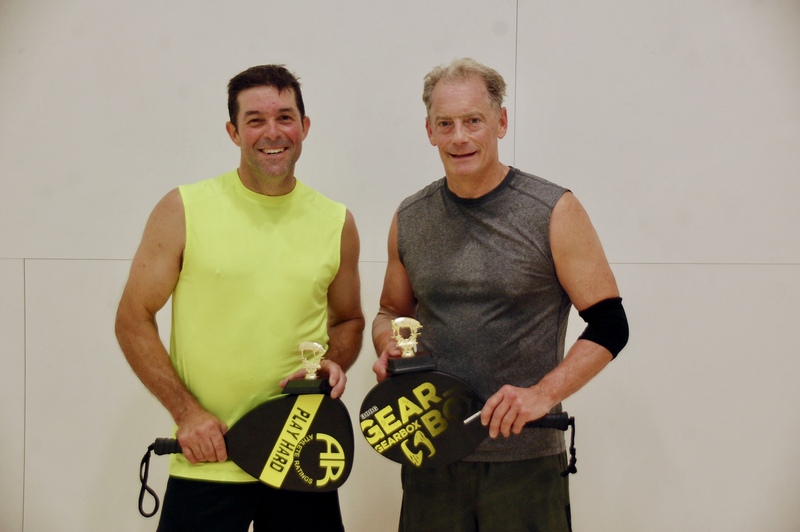 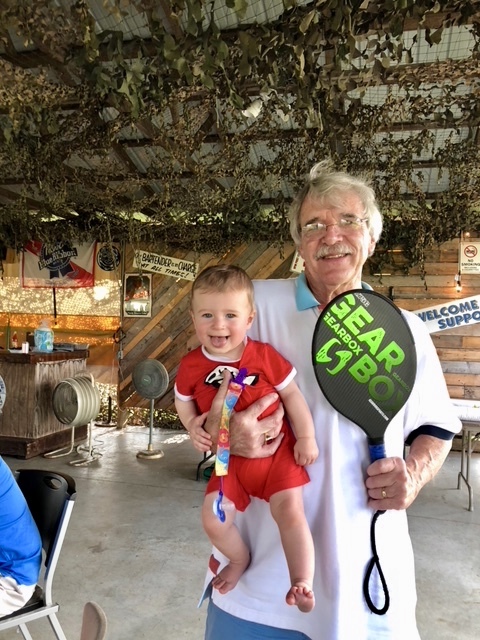 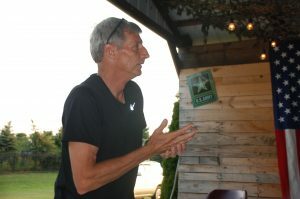 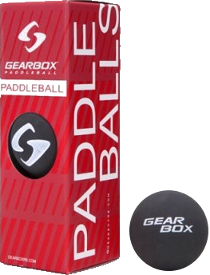 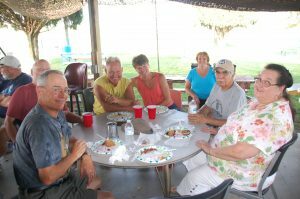 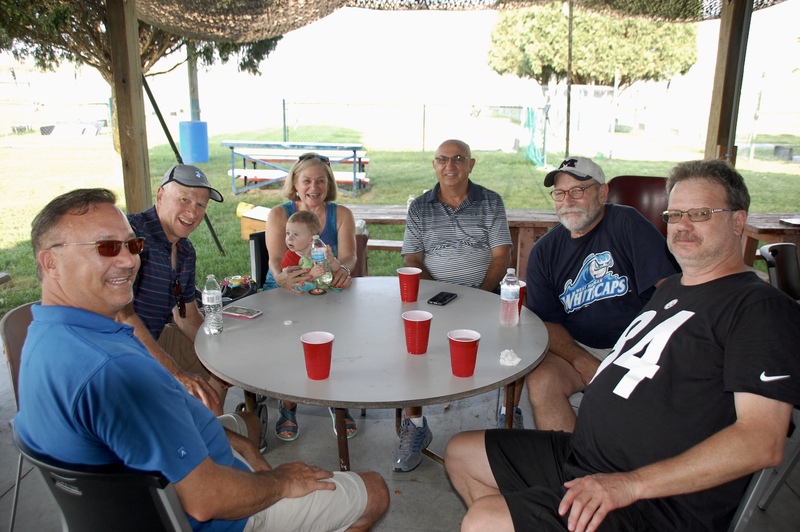 Bill Farmer, a long-time Kalamazoo area paddleball player was awarded the prestigious Woody, an annual award given to a person who supports paddleball and demonstrates a love for the game. 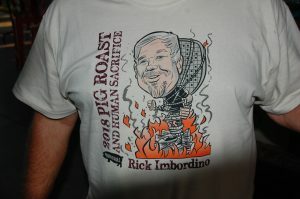 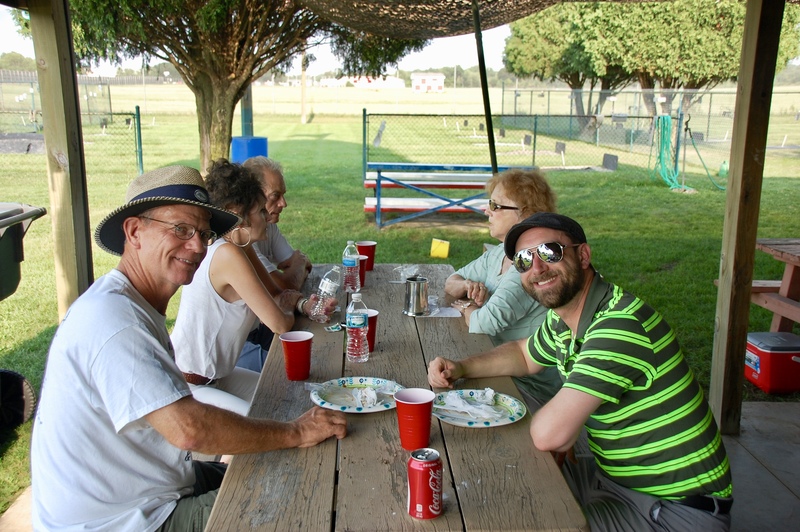 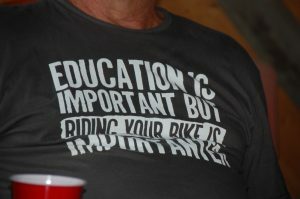 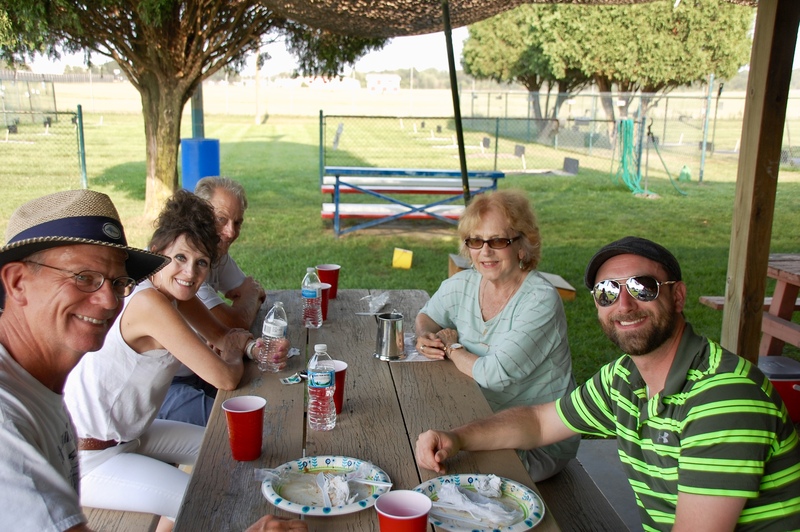 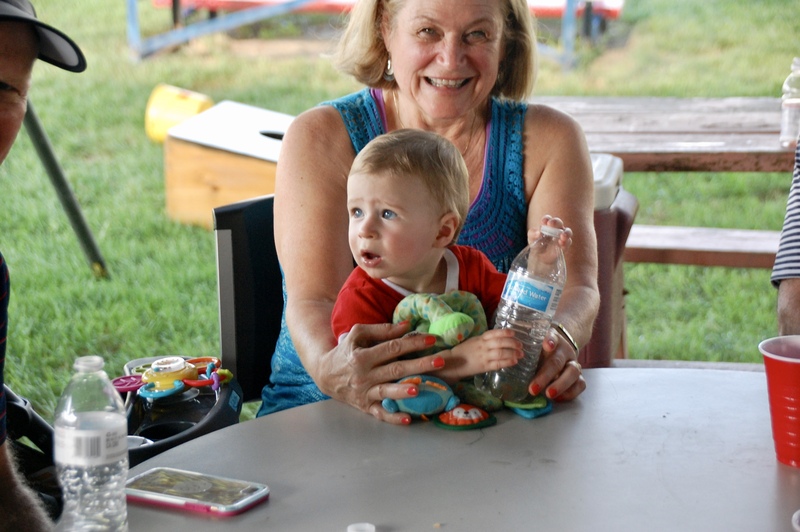 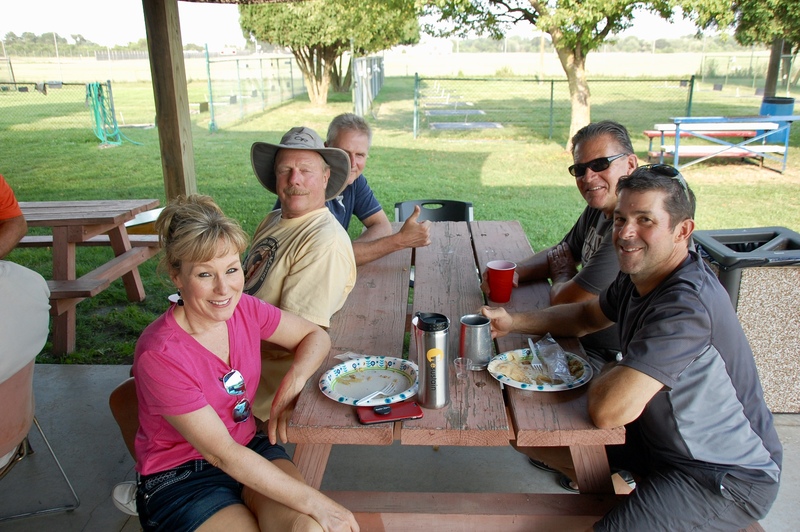 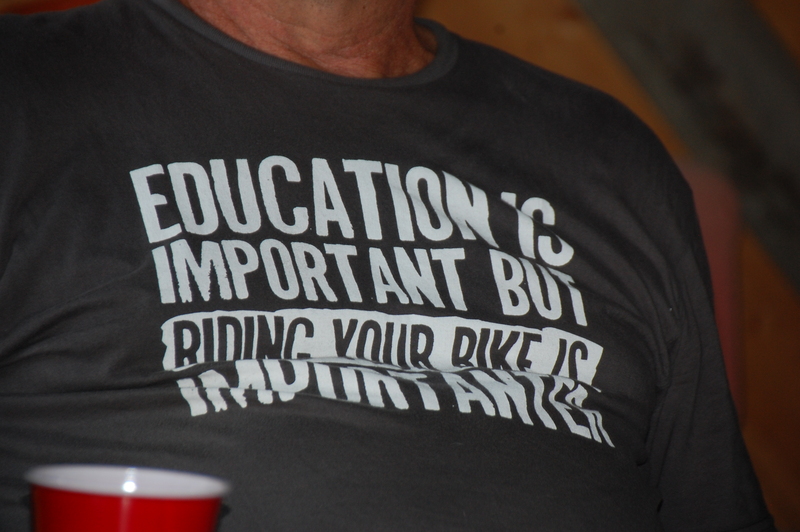 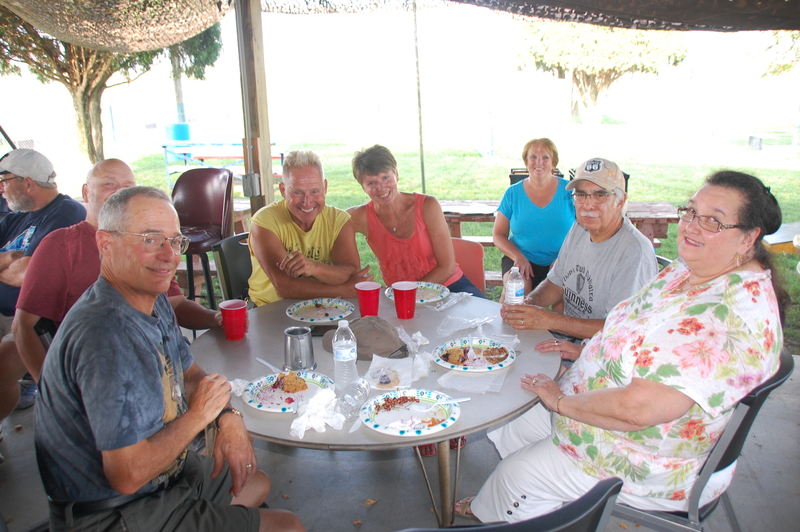 Photos from the tournament final and the Pig Roast follow.